Lucky me — I’m heading for the 35th Anniversary of the Festival International de Jazz Montréal June 26. Blues titan B.B. 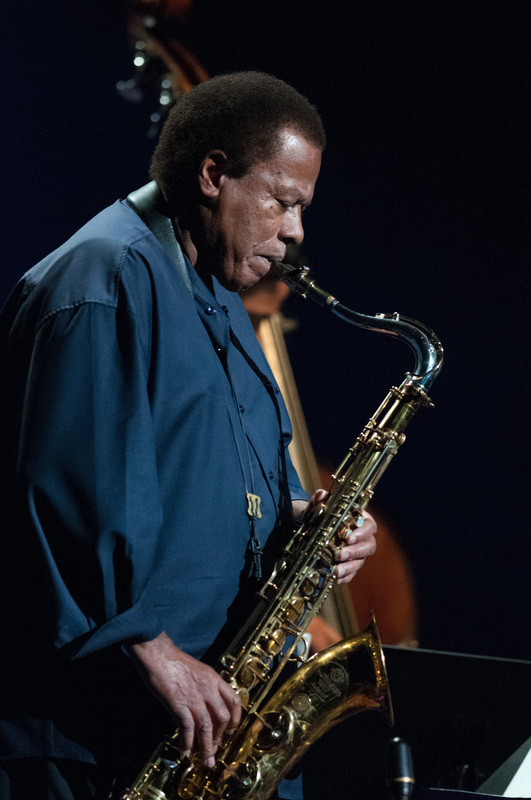 King says,”It’s the best jazz festival in the world,” and I agree. Artists like Diana Krall, Pat Metheny, Tony Bennett, Charlie Hayden and Al Jarreau concur: there’s nothing quite like it in North America. Each year I discover a favorite artist, venue or sound. Three years ago it was the the poetic mistress of art and soul, Switzerland’s own Sophie Hunger. 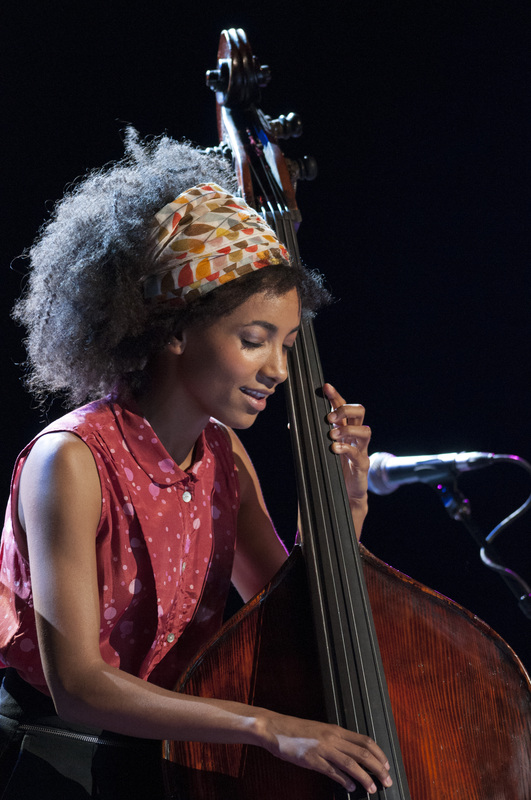 I fell in love with the magical Esperanza Spalding a few years ago, too. This year I’m looking forward to Woodkid, the versatile French artist who’s guaranteed to “pop” opening night. I can’t wait. My husband loves the outdoor “spectacles” that are sprawling, joyous, and free. For an intimate experience, hit the smaller venues for jazzy trios and quartets; I will see the great Harry Manx at Gesú. There is so much going on in the ever-expanding Place des Festivals — something for everyone. And music fans of all ages will be happily surprised at how much is free. Wow. Diana Ross, Rufus Wainwright, Bobby McFerrin, Tom Harrell, Keith Jarrett, Trixie Whitley, Dianne Reeves, Escalandrum, Ginger Baker Jazz Confusion with Pee Wee Ellis, Bombino, Farruquito, Piazzolla Plays Piazzola, Zappa Plays Zappa, and For the Record: Tarantino in Concert. And this is just a small sample. The full schedule (see www.montrealjazzfest.com), includes over 500 concerts and events, ticketed and free. Whether you drive or fly, it is always worth the trip to celebrate with our jazzy and sophisticated neighbors to the north. Treat yourself to a dazzling world of music, culture, saveur and savoir at the 2014 Festival lnternational de Jazz Montréal! Diana Ross –a true Diva if ever there was one, – is a showbiz icon and living legend. This is her very first visit to the Festival. The brilliant pianist, daring composer, living legend and peerless improviser, Keith Jarrett, in a solo concert—it’s been almost 25 years since the virtuoso has treated us to a signature event. Bobby McFerrin is a hypnotic performer and artist of a concert experience as dizzying as it is unforgettable—a jubilant musical pilgrimage. Zappa Plays Zappa The fabulous, inspired and slightly mad project conceived by Dweezil Zappa: to revive his father’s wildly eclectic and ambitious repertoire. Dianne Reeves has long since won her place in the pantheon of jazz singers; a flamboyant onstage performer loved by critics and audiences alike. Ginger Baker with Pee Wee Ellis, Alec Dankworth and Abass Dodoo British drum-legend and rock titan, Ginger Baker, heads a quartet of major talent. Farruquito One of the greatest male flamenco dancers of the century, Farruquito performs authentic, passionate and visceral flamenco. Piazzolla Plays Piazzolla by Escalandrum Daniel “Pipi” Piazzolla, Nicolás Guerschberg, Mariano Sívori, Damián Fogiel, Martín Pantyrer and Gustavo Musso bring together the best of all possible musical worlds. Tom Harrell Colors of a Dream with Esperanza Spalding, Jaleel Shaw, Johnathan Blake, Ugonne Okegwo, Wayne Escoffery This high-voltage jazz summit unites legendary trumpeter Tom Harrell, fascinating bassist Esperanza Spalding, and Jaleel Shaw on alto sax. For the Record: Tarantino in ConcertAn electrifying spectacle, this troupe of 28 dancers, musicians and performers serves up cult scenes from the modern master of American cinema. Rufus Wainwright Solo Wainwright unveils his latest release two years after thrilling us in Place des Festivals. Montréal’s beloved native son promises a very special solo treat. Trixie Whitley The daughter of late-lamented soul-bluesman Chris Whitley once again enfolds us in her incandescent blues-soul universe—an amazing performer. This entry was posted in Art and Culture, Canada, Festivals, Food and Wine, Montreal, Music, Quebec, The Other Portland, Travel and tagged Andres Menard, Esperanza Spalding, Leonard Cohen, Sophie Hunger, Wayne Shorter. Bookmark the permalink. Another great column! I have cousins in Monteal. I should visit them when the Jazz Festival comes up next year. Music has always been the feast to my soul.